According to a study published in the November 14th online edition of Neurology, the medical journal of the American Academy of Neurology, people who suffer from migraines with visual aura may have a greater risk of also having an irregular heartbeat. Atrial fibrillation, a form of arrhythmia and the technical term for this form of irregular heartbeat, is when the heart’s usual rhythm is out of sync. This can result to blood collecting in the heart which can then form clots that may travel to the brain, leading to a stroke. The study’s author, Souvik Sen (MD, MS, MPH of the University of South Carolina in Columbia), decided to investigate whether those who suffer from migraines with aura have a higher probability of also suffering from atrial fibrillation, since atrial fibrillation is known to be a common cause of strokes, and past research has shown a link between migraines with aura and stoke. The study involved 11,939 people with an average age of 60, who had not been diagnosed with atrial fibrillation or stroke previously. The study followed its participants for twenty years. The study found that people with migraine with aura were 30% more likely to develop atrial fibrillation than people who did not have headaches, and 40% more likely to develop the condition than people who suffer with migraines without aura. Or, in larger terms, an estimated nine out of every thousand people with migraine with aura will have atrial fibrillation, compared to seven out of every thousand people who have migraine without aura. The study also found that the annual rate of stroke in the migraine with aura group was four out of every thousand, while in the migraine with no aura group the rate was two out of every thousand, and in the no headache group the rate was three out of every thousand. 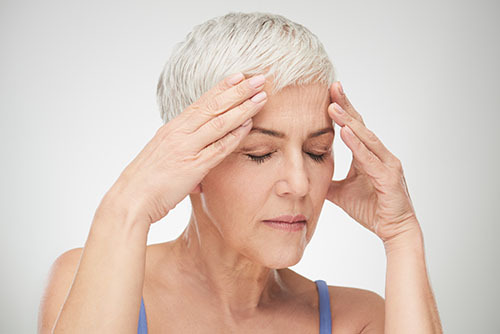 One of the reasons that the study is important is because it gives those who experience migraines with aura the ability to get treatment for atrial fibrillation before a stroke occurs. Atrial fibrillation can be managed through medication, but not many people realise that they have the condition. Now those who suffer from migraines with aura can be tested for the condition, and receive treatment should it be needed. However, more research is needed to determine whether people with migraine with visual aura should be screened for atrial fibrillation as a matter of course. This was posted in Migraine headache causes and tagged Heartbeat, migraine. Bookmark the permalink.